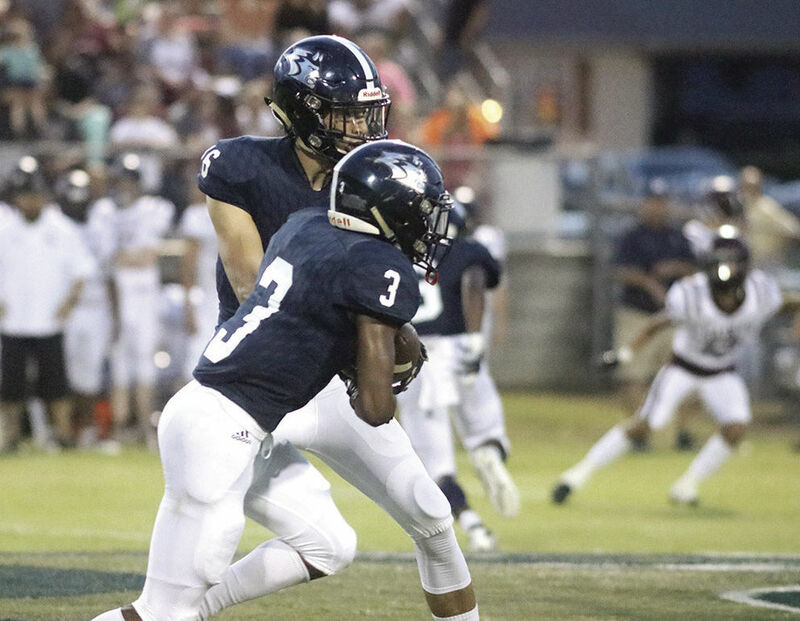 MOODY – Head coach Adam Wallace picked up his first win as a coach as the Moody Blue Devils outscored St. Clair County 15-0 in the fourth quarter to beat the Saints 41-20. Rashaad Clark was the ace in the hole for the Blue Devil offense as he rushed for 341 yards on 34 carries and scored four touchdowns. All four touchdowns were in the second half. Wallace said Clark is one of the few players who has to go both ways during a game. SCCHS scored two touchdowns in the first quarter as quarterback Cade Golden hooked up with Desmond Byers for a 12-yard strike and then Braxton Ragland for a 77-yard bomb to lead 13-6 after one. Moody’s Christian Archer recovered a Saint fumble in the end zone to tie the game 13-13 at halftime. Clark’s touchdown runs in the second half covered 15, 62, 8 and 12 yards. St. Clair’s only score in the second half was when Jovan Ousley blocked a Moody punt and Rodney Jones picked it up and raced 60 yards for the score. Wallace said any time you can beat your county rivals, it is a huge win. SCCHS head coach Matt Glover said his team was in the game for three quarters. Moody will host 3-0 Sylacauga Friday in a region matchup while SCCHS will play its first home game of the season against 2-1 Mortimer Jordan. Reach Gary Hanner at [email protected].